Our annual Branch Social was held on 5 December in the Arundel Room, Millennium Gallery. Simon Duffy Director of the Centre for Welfare Reform and Secretary to Citizen Network was our guest speaker. Members enjoyed a buffet lunch and won lots of prizes in the raffle, quiz and bingo. UNISON’s vote of no confidence in the implementation of the Professional Services Operating Model (Student & Academic Services and Faculty Central Services phase) was launched on 23rd November and concluded at noon on Wednesday 5th December. Thank you to all our members who participated: each of you helped deliver a credibly big turnout and made our collective voice louder. In total, 240 members took part, with 95% agreeing with the no confidence motion. As expected, the majority of members who voted identified as part of SAS/Faculty Services . Again 95% of voters from this area agreed with the no confidence motion. We believe that this result demonstrates the depth and strength of feeling among members (which we are sure will be shared by non-members too), that the changes are being rushed in for January without adequate preparation, training or communication. On Wednesday afternoon, UNISON’s Branch Committee considered the very clear mandate that this vote has given us, and agreed to request an urgent meeting with Richard Calvert, Chief Operating Officer, and senior management in order to raise members’ concerns in detail. 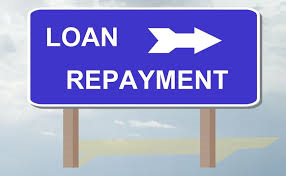 We expect members’ concerns to be listened to and acted upon to restore damaged morale. We will keep members informed of progress. While the Branch encourages members to become active in the Branch as stewards (alternatively known as workplace representatives) and officers, representing members and helping to run the Union (and there are vacancies! ), that’s not the only way to get involved. 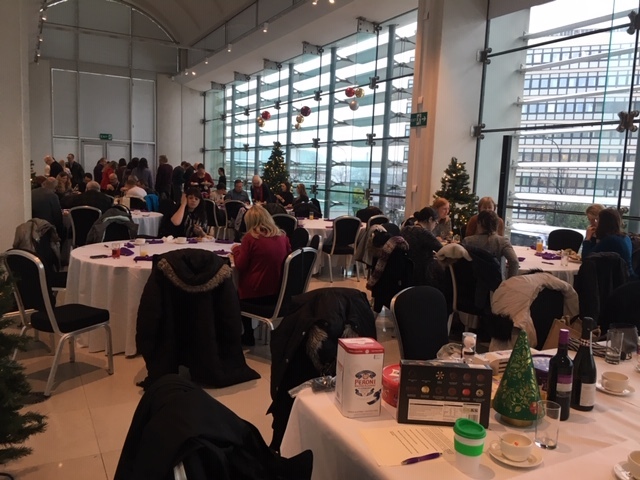 From time to time we publicise free training events and conferences that members can attend, but there are also UNISON self-organised groups in which women, black members, disabled members, lesbian, gay, bisexual and transgender members, young members and retired members can get involved (see: https://www.unison.org.uk/about/our-organisation/structure/member-groups/). But UNISON also has a role for “workplace contacts”. Workplace contacts can play an important role in helping members organise, by being the eyes and ears of the Branch in a particular team or area, helping communicate the Branch’s messages and sharing information with their colleagues and other members, promoting the Union and supporting and encouraging people who want to join UNISON. Where members need representation or advice, a workplace contact can refer them to the best source of help. Unlike officers and stewards, workplace contacts are not elected. 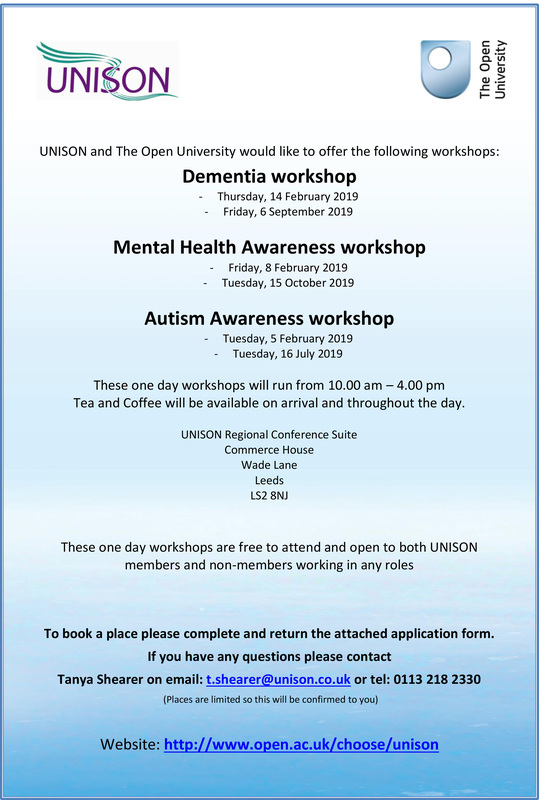 It’s a good way of getting to know UNISON (and the University) a bit better, and could be a starting point for someone thinking of getting more involved with the Union. Either way, being a workplace contact could be a great learning opportunity. If you are interested in becoming a workplace contact, please let the Branch Secretary, Dan Bye, know. Alternatively, speak to your local steward or another officer. The National Minimum Wage became law in 1998, taking effect the following year. It introduced different minimum hourly rates according to age bands. In 2015, George Osborne announced that for over-25s, the minimum wage would be renamed the National Living Wage and increased significantly. This was primarily a way of outflanking the Labour Party, which had proposed a lower rise in the minimum wage. The change was introduced from 2016. Confusingly, a voluntary “living wage” has been in existence since 2011, arising from campaigning going back to the early 2000s. The Living Wage Foundation sets the level of the voluntary – or as we prefer to call it, Real Living Wage based on the cost of living. The aim is to provide a worker with the minimum pay rate required to provide their family with the essentials of life, which the statutory so-called National Living Wage does not do. 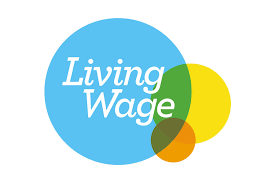 Employers signing up to the Voluntary Living Wage undertake to maintain the pay of their lowest paid staff at the independently set level, and are recognised for doing so. Here at Sheffield Hallam, UNISON first raised the Real Living Wage issue back in 2012. We therefore welcomed the University’s decision to pay the Voluntary Living Wage to our lowest paid colleagues from August. This takes the form of a Voluntary Living Wage Supplement, paid to staff on Grade 2 (we do not use Grade 1 here) and the first spinal point of Grade 3 whose hourly rate would otherwise fall below that rate. There are over 100 people impacted by this move. The Voluntary Living Wage was adjusted to £9 per hour in November, and affected staff should see that reflected in their pay packets soon. Our welcome for this move is a qualified one, however, because the University has decided not to become an accredited Voluntary Living Wage employer. Also, the method chosen to pay the Real Living Wage – a supplement on top of basic pay – flattens out the pay levels for staff on Grade 2. Nor does the supplement apply to contract staff and casual staff who are not counted as employees, although it does apply to placement students and apprentices. Nevertheless, the move is a genuinely progressive move that benefits a large number of workers, and we hope that it will be maintained in the years to come. 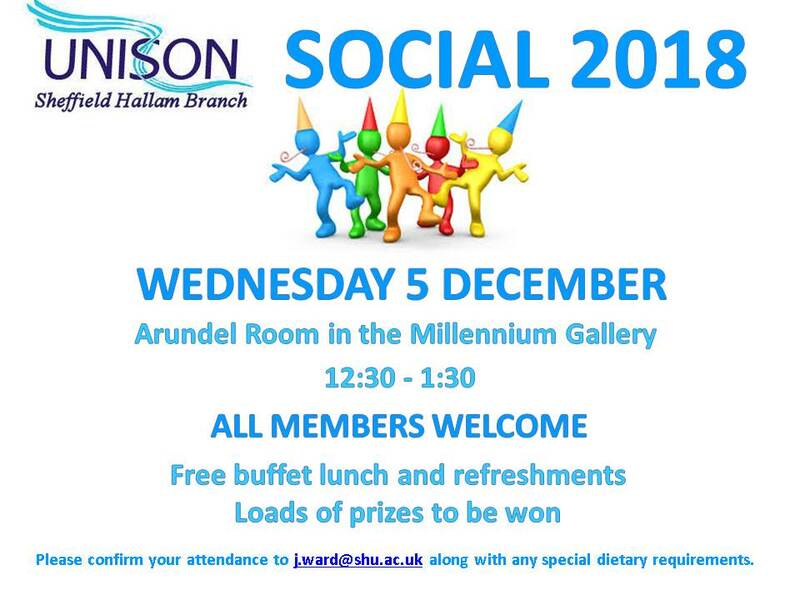 UNISON SHU Branch Social – don’t miss it! Colleagues will be aware of the strike action taken earlier in the year by UCU (the academics’ trade union), in defence of the USS pension scheme. More information about that can be found here: https://www.ucu.org.uk/strikeforuss. The USS scheme is mainly found among pre-1992 Universities, where professional services staff may also be scheme members. Here at SHU, most professional services staff will be in the Local Government Pension Scheme (LGPS), and the vast majority of teaching staff will be in the Teachers Pension Scheme (TPS). The TPS is not just a higher education scheme, it is the default scheme for teachers in state-funded schools as well as many FE colleges. And unlike the LGPS, which is a “funded scheme” (this means that employer and employee make contributions to a fund which is then invested), the TPS is an “unfunded” scheme paid out of general taxation. In October, the Treasury published information about the actuarial valuation of the scheme and announced that employer contributions would rise from 16.48% to over 23% – about a 40% increase in costs. Employee contributions are linked to pay rates, but the average employee contribution is 9.6%. Apparently schools will receive some help with these additional costs, at least (but only) for the first year. But there is no such help for Universities, leaving higher education employers facing an unexpected and unwelcome and very significant hike in staff costs. Meanwhile USS members have now been told that their scheme is in a better position than previously thought. The ‘Joint Expert Panel’ convened earlier this year at the end of the dispute found shortcomings in the 2017 valuation that led to the aborted attempt to move to Defined Contribution. This was exactly as many UCU activists suspected all along, and they have been thoroughly vindicated in their decision to strike. Following the re-valuation, universities have now indicated their support for accepting ‘greater risk’ within the scheme (i.e. valuation rules less likely to favour their agenda), and employer contributions will only have to rise by a small amount to safeguard members’ benefits. So we are now in the exact opposite position as we found ourselves in at the beginning of the year, where USS members were preparing to walk out, and looking longingly at their pre-1992 academic colleagues’ “safe” pensions. Meanwhile, attacks on the pensions of professional services staff are becoming more common across the sector. At Southampton University a proposal to close the final-salary PASNAS scheme and replace it with a defined contribution scheme was withdrawn as a result of collective action, meaning that existing scheme members retained final-salary benefits, but the scheme was closed to new members. At the University of Manchester, a consultation on the future of the University of Manchester Superannuation Scheme (UMSS) was launched over the summer, on the back of an actuarial valuation which said the scheme was in deficit to the tune of £207m. About 4000 support staff are members of the defined benefit scheme, which currently has a final salary section and a career average revalued earnings (CARE) section. The proposed changes would close the scheme to new starters, who would join a new defined contribution scheme instead, and move existing scheme members from a final salary scheme (which would close) to an inferior career average scheme (which would replace the existing CARE section). In a consultative ballot, 89% of UNISON members who voted indicated support for industrial action in opposition to the changes. Finally, in May this year Staffordshire University management informed the local UNISON branch of their intention to transfer their administrative staff (grades 1-6) from the Local Government Pension Scheme to an inferior private scheme. To achieve this goal they took the step of transferring administrative staff out of direct employment and into a Wholly Owned Subsidiary (Staffordshire University Services Limited). One month of consultation was given to staff to voice their views on the proposed changes. The branch were informed of the proposals very shortly before the consultation began. Following the close of the consultation period the changes went ahead as planned. These changes will leave many low-paid staff in ‘pension poverty’, and disproportionately affect low-paid female workers. It has been calculated that some staff may lose up to £10,000 per year in their retirement. In response our colleagues at Staffordshire have taken 5 days of staggered industrial action between August and October. So far, Staffordshire University management have refused to return to talks. More industrial action is planned. 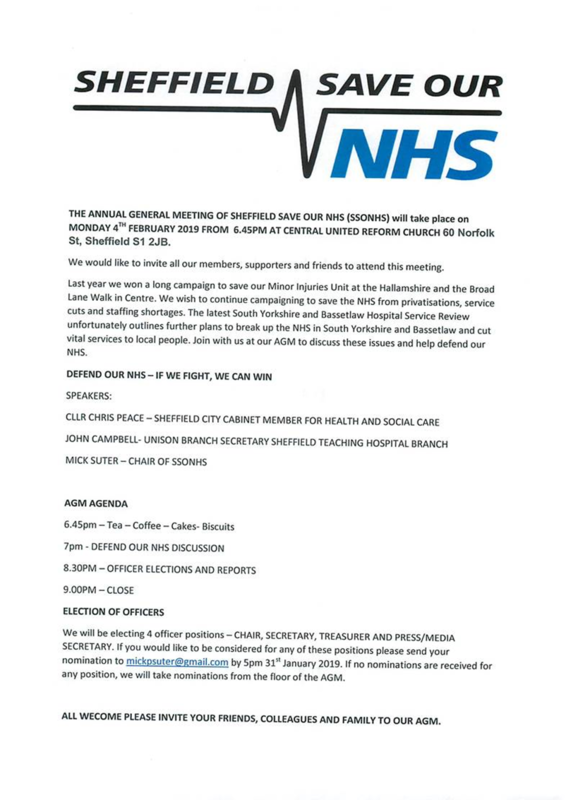 We will be raising a motion in support of our colleagues at Staffordshire at our next Branch Committee, which includes a proposal to make a donation to their hardship fund. This will go towards supporting low-paid members in the next round of action. If you or your dependents are experiencing financial and/or emotional difficulties the charity can provide confidential advice and support.